It’s surprising just how quickly gamers have become used to the bombardment of messages and requests the average mobile game will make upon them in the opening seconds of a release – or, as is often the case, before the game has even begun. Would you like to connect to Facebook? Have you logged into Game Center? Do you want to check out the in-app purchase store? Fancy upgrading that vehicle you’ve only actually raced once? Mobile games, so intent on withholding our attention on a device that travels with us as we deal with the distractions of real life, have become loud, demanding beasts, because they know if they lose us for a minute, we’ll delete them from our home screen in a second flat. Rare, however, are the games that have the confidence to try and hold our attention with gameplay alone. Space Age: A Cosmic Adventure – with its early 1990s visuals and one of the best soundtracks you’ll ever hear, seemingly lifted out of an episode of Doctor Who from a decade previous to that – is one such title. It doesn’t jump about and scream for your attention. It doesn’t encourage you to post high scores across social media. It’s every part a game that echoes the traits of eras long past. It really, really shouldn’t work in the modern, smartphone age. Yet, as we draw towards the end of 2014, it’s undoubtedly one of the finest mobile games you could hope to encounter this year. Spage Age’s pitching and delivery is effortlessly simple. With levels kept pinned down to relatively short and, at least to begin with, largely exploratory missions, you take on the role of Private – an astronaut plying his trade in the 1970s who, along with his assortment of colleagues, is coming to the end of his mission studying an Earth-like planet Kepler-16. From the moment you take charge of Private, however, it’s clear that the team’s departure from the planet is going to be hijacked. Viewed from the top down, the majority of your input is focused around picking a character to control and tapping the screen where you’d like them to head. If they can reach said area (trees, rocks and other level architecture often acting as barriers), they’ll head there automatically, with the stage – initially shrouded in darkness – opening up as you move through it, as if being lit by torchlight. For anyone who grew up playing videogames twenty or thirty years ago, it’s a familiar set up: as the action builds, so it’s broken up by sections of (brilliantly written) dialogue, with just the right amount of humour and cultural references to keep the tone of play fairly light. Wisely, Space Age recommends you play with your headphones implanted firmly in your ears – not just because the game’s sound effects brilliantly translate the alien environment beneath your feet, but also because the aforementioned soundtrack kicks in at just the right moments to add the odd beat of emotion as the story progresses. As you move through each stage, so your tasks – and how you’re expected to complete them – start to vary. In many of the levels you’ll be required to control more than one character to progress, though just when you do so is up to you, adding a nice real-time strategy element to play. Indeed, developer Big Bucket Software has done well to keep your interactions varied; while in some levels you’ll be required to employ a degree of stealth, in others direct combat is called for, with the way to solve each problem you’re presented with not always immediately clear on first playthrough. 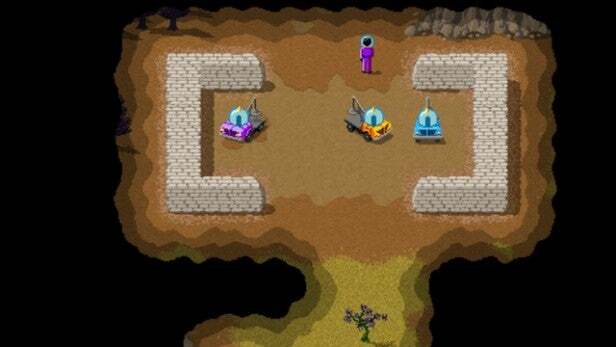 Indeed, this is perhaps the one area where Spage Age could do with jumping forward a couple of decades: In an early level you’re required to find a lost vehicle – a Maggie – though the game doesn’t make it clear that, rather than finding it on foot, you’re meant to scan the level of your own accord and actually take charge of the said Maggie when you locate it. Here and at other times, play would arguably benefit from some additional signposting. 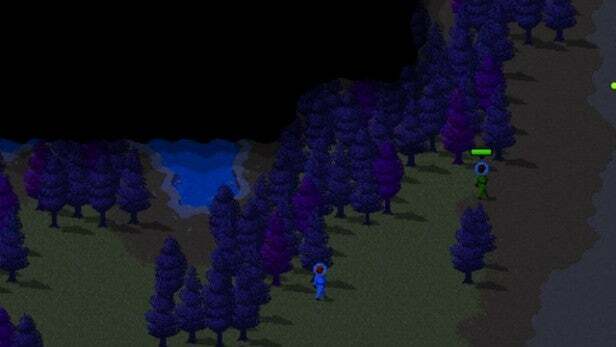 However, Space Age: A Cosmic Adventure is unapologetically old-school from beginning to end. 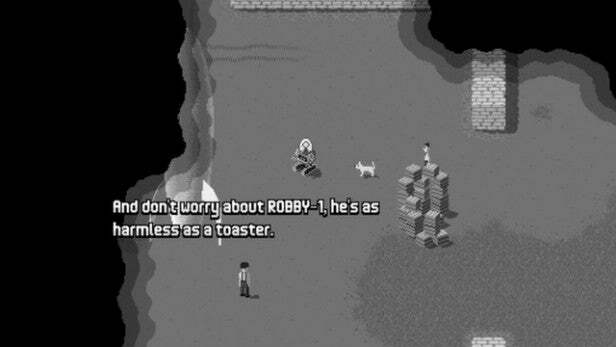 This is not a ‘trendy’ indie release taking on pixel-art graphics in order to play to the narrative of the day – this is a genuine, full blown adventure seemingly lifted straight out of an age gone but not forgotten. 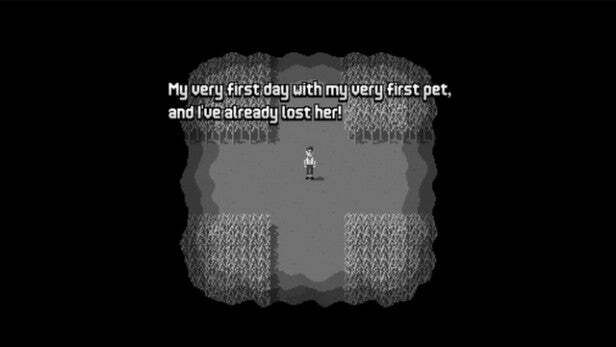 As such, it stands apart from the rest of games on iOS for all the right reasons, and undoubtedly stands as one of the platform’s true stars. 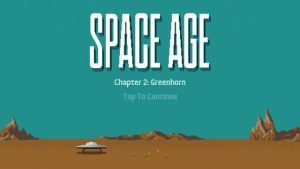 With little fanfare or posturing, Space Age: A Cosmic Adventure lands on the App Store as an instant classic – or, rather, a classic seemingly lifted from another age. With an awesome soundtrack, a deftly delivered script and visuals presented without a hint of irony, Space Age is an adventure game light enough to welcome newcomers but varied enough to keep veterans thoroughly engaged. Just as cosmic as its name suggests. The post Space Age: A Cosmic Adventure appeared first on Trusted Reviews.